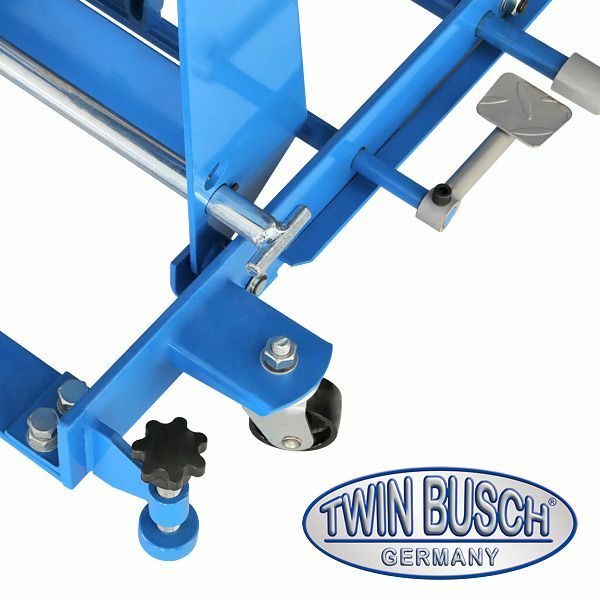 With the TWM-04 motorcycle lift you have a hydraulic lift for Motorcycles and scooters weighing up to 450 kg. 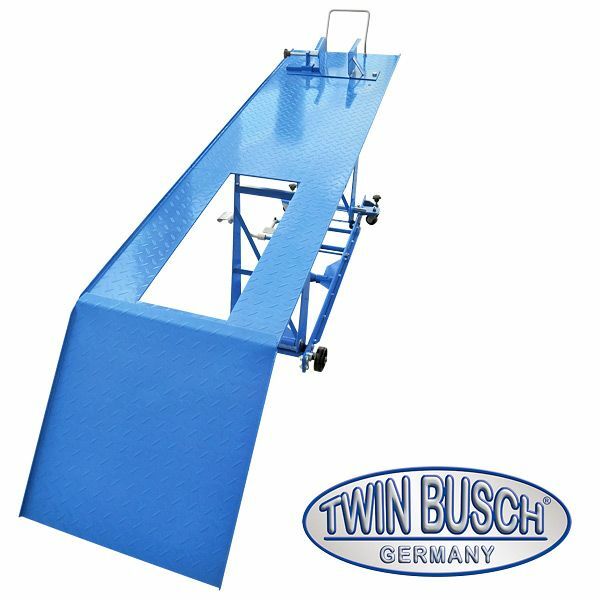 The lift is tted with pneumatic / hydraulic system (6-8 bar) and of course, a manual foot pedal. 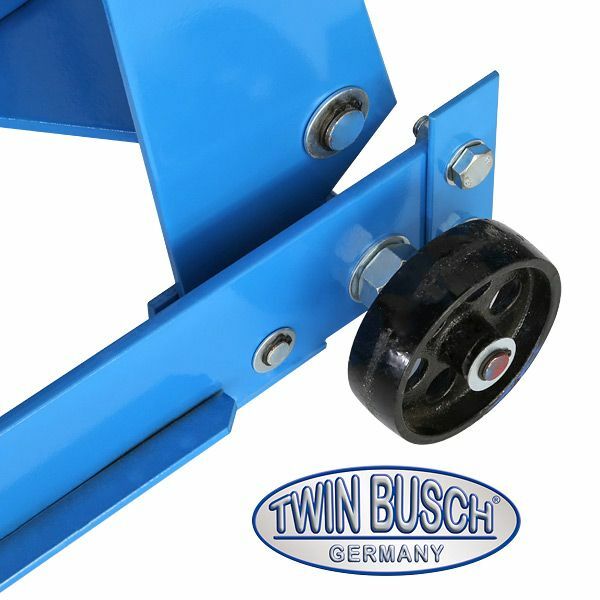 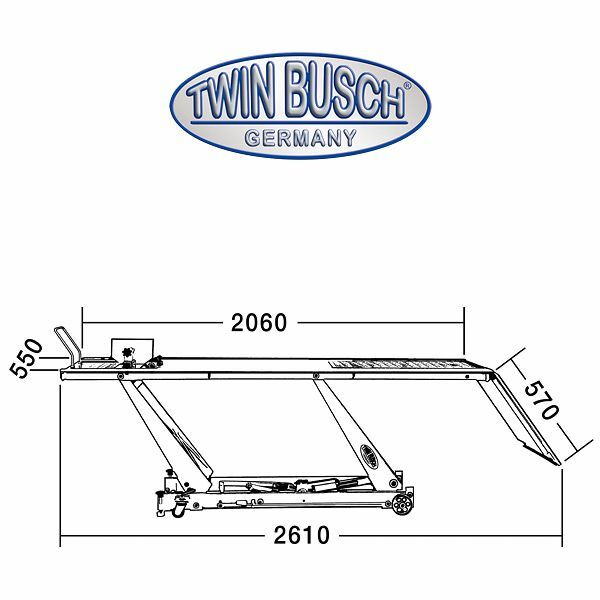 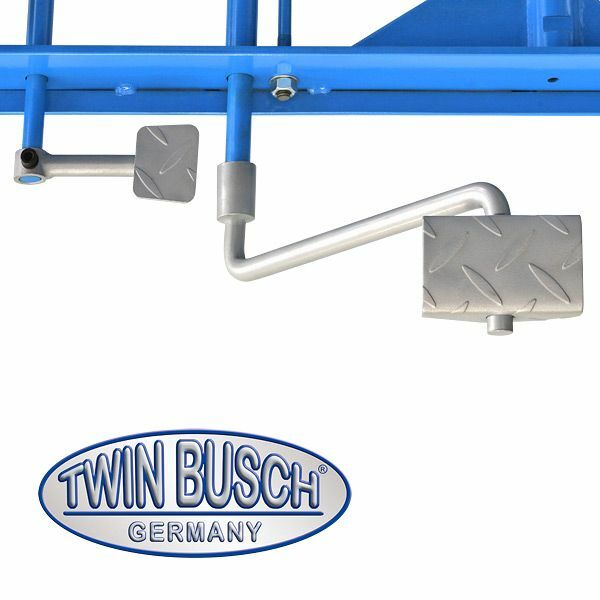 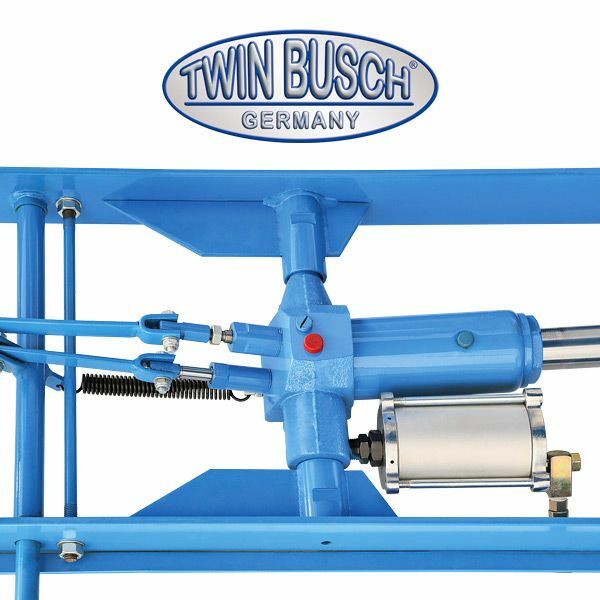 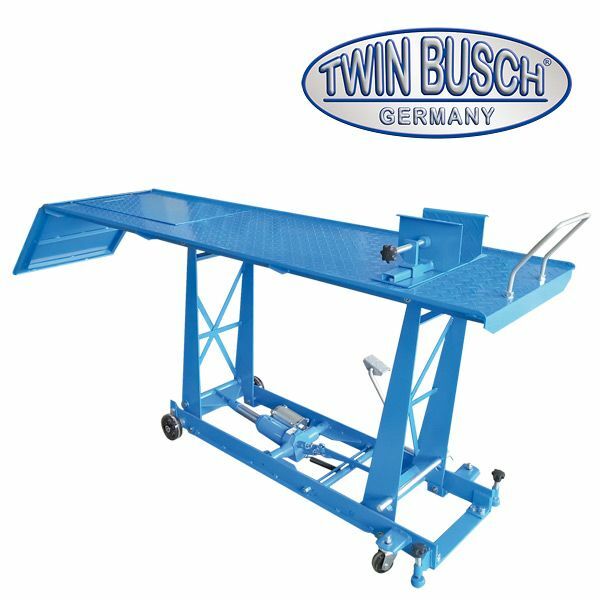 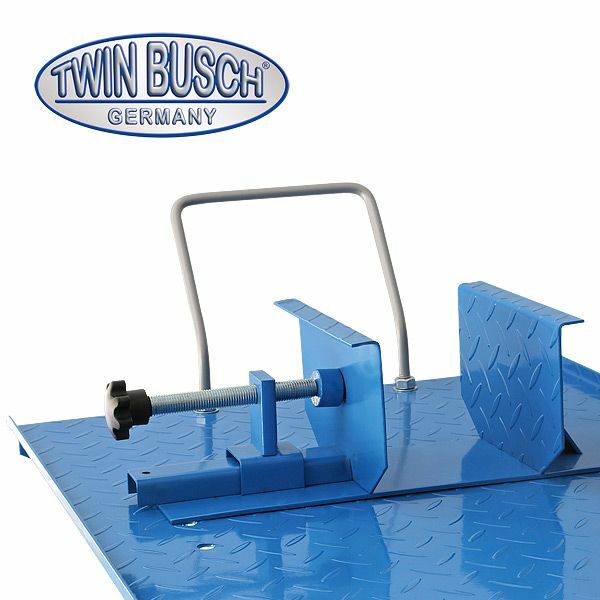 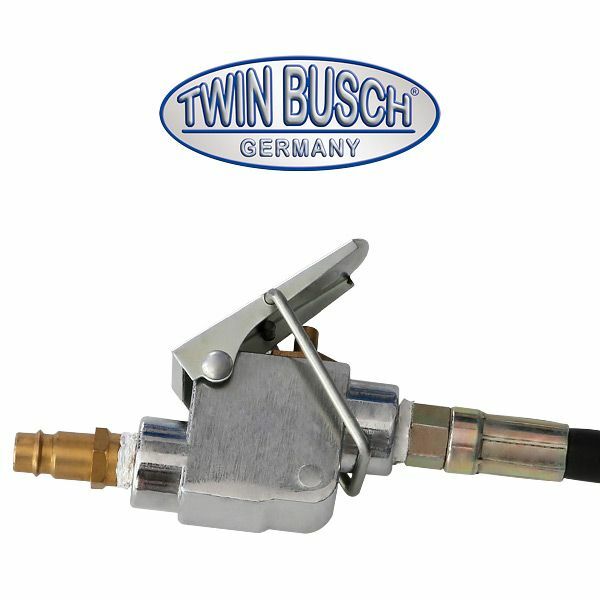 Through its length the TWM-04 assures for an optimal power transfer when lifting your TWIN BUSCH motorcycle lift.